Peru’s domestic airlines provide a quick, easy, and relatively inexpensive way to get around the country. The flight network is broad with airports located in most major cities, and while bus travel in Peru may be a cheaper option, flying saves a huge amount of time. New Peruvian airlines spring up on a regular basis, but many fail to make an impression and soon disappear. The following airlines, all of which fly out of Jorge Chávez International Airport in Lima, are the five most established operators in Peru. From Avianca, the oldest airline in the country, to the relatively new Peruvian Airlines, you can book a flight through one of these great companies to save yourself some time while traveling across Peru and the rest of South America. StarPerú, founded in 1997, began life as a cargo operator and charter flight service but became a fully-fledged passenger airline in 2004 and has since grown into one of Peru’s major domestic operators. The airline is not as big or sophisticated as LAN and TACA, but the lower prices are a definite advantage. Overall, StarPerú is a good option for all major destinations in Peru. StarPerú flies to the following destinations: Andahuaylas, Arequipa, Ayacucho, Chiclayo, Cusco, Huánuco, Iquitos, Jauja, Juliaca, Lima, Pucallpa, Puerto Maldonado, Talara, Tarapoto, and Trujillo. 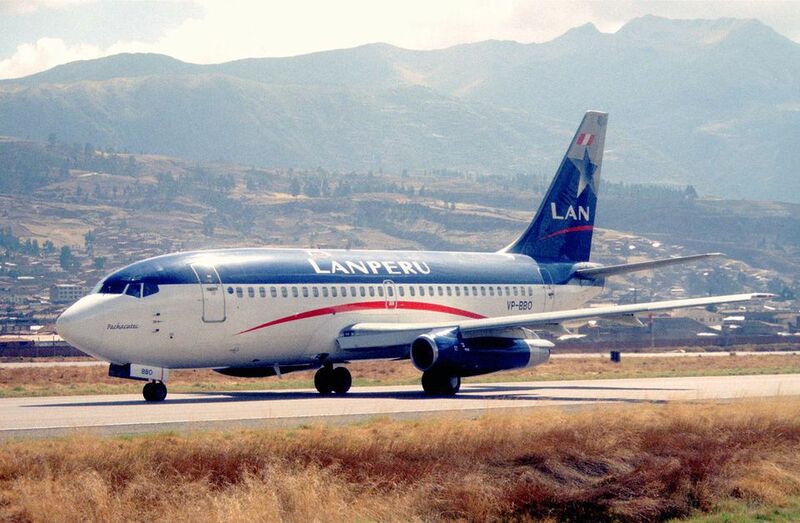 LATAM Airlines entered the Peruvian market in 1999, and in 2008, it carried 73.4 percent of all domestic passengers in Peru (according to the Spanish-language Aeronoticias). The airline, with its modern fleet of Airbus A319s and Boeing 767s, serves all major airports in Peru as well as destinations in South, Central, and North America. LATAM is a big player, but it’s not immune to controversy. The airline has done well to alienate Peru’s foreign tourist market by adding an additional charge of up to $180 (USD) to tickets purchased by non-residents. If you are considering a flight with LAN, always check for this additional fee before making your purchase (and always check for cheaper flights with rival airlines first). Avianca (TACA Airlines), founded in 1931, flies to 50 destinations in 22 countries across the Americas, with hubs located in Peru, Colombia, El Salvador, and Costa Rica. As of September 2011, destinations in Peru are limited to Arequipa, Cusco, Chiclayo, Juliaca, Lima, Piura, Tarapoto and Trujillo, but TACA looks set to expand to other Peruvian cities. As with LAN, keep an eye out for additional fees for non-residents. TACA does not add this fee to all tickets, but it might be added to some promotional offers. Additionally, some of these promos are available to Peruvians only—if you purchase such a ticket, the airline might hit you with an additional charge of about $180 (to be paid at the airport). Tread carefully and always read the small print. The imaginatively named Peruvian Airlines is one of the newest major players on the scene, having received its Air Operator Certificate in August 2009. Destinations are limited to Lima, Arequipa, Cusco Iquitos, and Tacna, with more destinations expected by 2020. Peruvian Airlines hit the headlines in August 2011 following the grounding of its entire fleet for 90 days due to safety concerns. The airline staunchly defended its position (no actual accidents had occurred prior to the ban), and the government allowed some flights to resume a few days later. Since then, Peruvian Airlines has recovered and gone on to be one of the fastest-growing airlines in South America. LC Perú (formerly LC Busre) is a quirky little operator in comparison to Peru’s larger airlines. Having started life as a cargo transportation company in 1993, it later entered the passenger market in 2001. LC Busre now has a handful of scheduled flights from Lima to Andahuaylas, Ayacucho, Cajamarca, Huánuco, Huaraz, and Tingo Maria (it also runs charter flights). The airline has a fleet of 19-seater Fairchild Metroliner passenger planes. These may be smaller than you expect, but they get the job done.